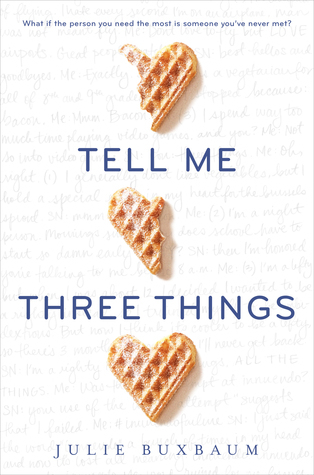 Tell Me Three Things by Julie Buxbaum is about two young people both suffering grief within their families. They end up finding a way to cope through it all. One of them, decided to reach out to the other one via email. Keeping his anonymity, they messaged each other every day about everything. As the book moved forward, the leading female protagonist ends up really liking this guy Ethan. He makes her so happy and she can’t resist him. She ends up overthinking about him being SN. The guy who mysteriously emails her every day. But she’s not too sure and that is making her go crazy. Sad, funny, and absolutely charming-I fell in love with this YA novel. I highly recommend it to all readers.